1770 – James Cook, British explorer, arrives in Australia at Botany Bay, which he names. 1834 – Charles Darwin, English Geologist, during the second survey voyage of HMS Beagle, ascended the Bell mountain. 1903 – A 30 million cubic-metre landslide kills 70 people in Frank, in the District of Alberta Canada as 82 million tons of limestone slid down the mountain. 1944 – During World War II a British agent Nancy Wake, a leading figure in the French Resistance and the Gestapo’s most wanted person, parachutes back into France to be a liaison between London and the local maquis group. 1945 – World War II: The German army in Italy unconditionally surrenders to the Allies. 1945 –Adolf Hitler marries Eva Braun in a Berlin bunker and designates Admiral Karl Dönitz as his successor; Hitler and Braun both commit suicide the following day. 1945 – Dachau concentration camp is liberated by US troops. 1953 – The first U.S. experimental 3D television broadcast showed an episode of Space Patrol on Los Angeles ABC affiliate KECA-TV. 1954 – Jerry Seinfeld, American comedian, actor, and producer was born. 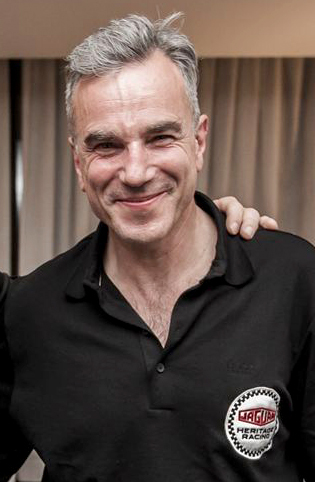 1957 – Daniel Day-Lewis, British-Irish actor was born. 1967 – After refusing induction into the US Army the previous day, Muhammad Ali is stripped of his boxing title. 1968 – The musical Hair, a product of the hippie counter-culture and sexual revolution of the 1960s, opens at the Biltmore Theatre on Broadway. 1970 – Uma Thurman, American actress is born in Boston, MA. 1992 – Riots in Los Angeles break out destroying hundreds of buildings and killing 63 people, following the acquittal of police officers charged with excessive force in the beating of Rodney King. 2011 – Prince William and Catherine Middleton get married at Westminster Abbey in London. 2015 – A baseball game between the Baltimore Orioles and the Chicago White Sox goes on even though there were no fans present due due to the 2015 Baltimore protests.